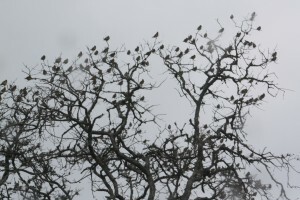 The Lamberts saw Cedar Waxwings and American Robins this morning on their walk. If you’ve never seen a Cedar Waxwing previously, check out these pictures, as well as others online. Don’t forget to click on any picture you see here to enlarge it. These are beautiful birds that come to our area each winter. Before leaving in the spring, they will eat all the berries from your Yaupons. 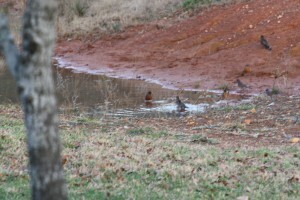 These birds come to the Ranch in the hundreds! Watch for them and enjoy! 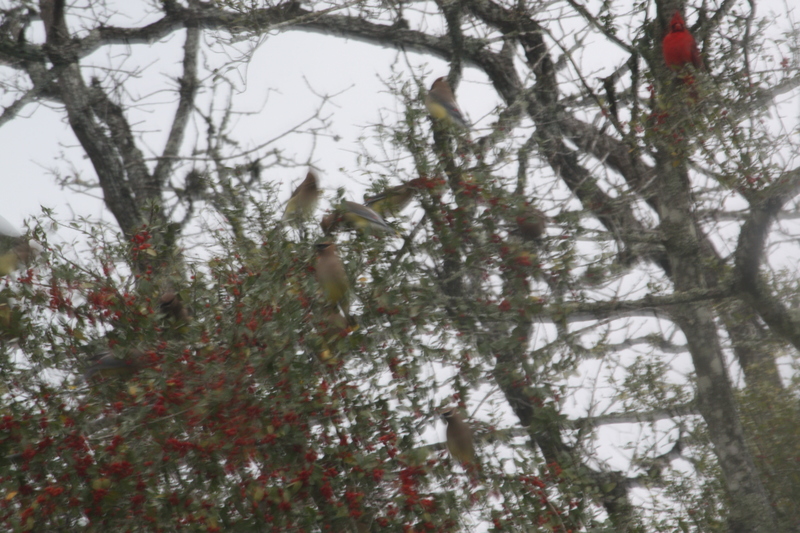 Cedar Waxwings with a Northern Cardinal feeding on Yaupon berries; Photo by B.LaVergne, Feb 2014. 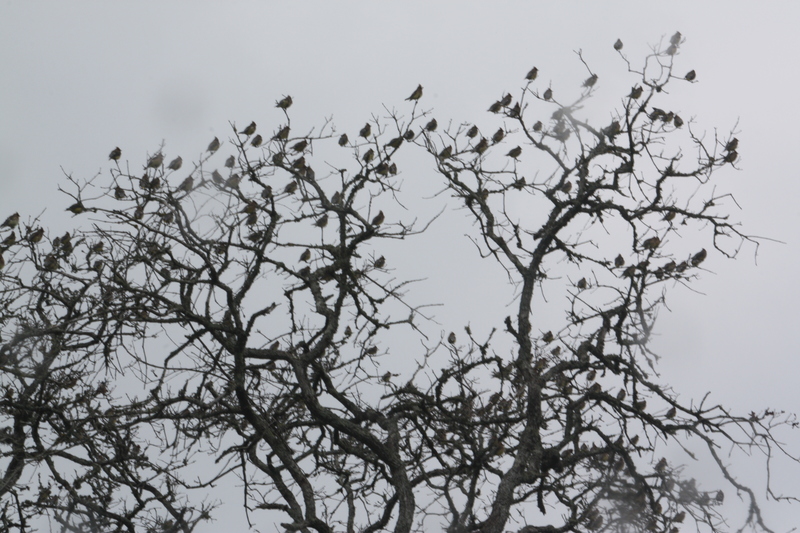 Cedar Waxwings; Photo by B.LaVergne, Feb 2014. The Northern Cardinal is an ever-present bird in our area. But they really stand out during the winter months. The American Robin is a fascinating bird, also. They will eat everything from insects, to worms, to berries & fruit. And like the Northern Cardinal, the American Robin has a beautiful song. Live life outdoors! American Robin: Photo by B.LaVergne, Feb 2014. 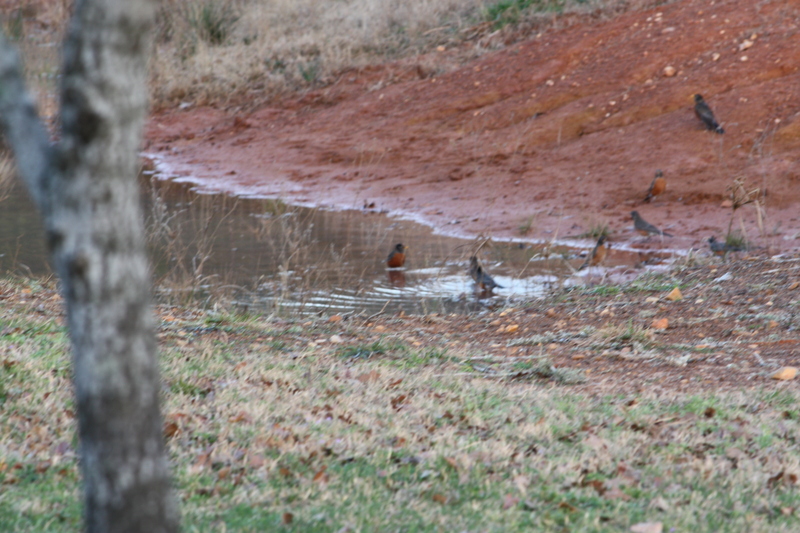 American Robins early morning bath; Photo by B.LaVergne, Feb 2014. Look at this wonderful picture from David Kinneer from Virginia, of his local bluebirds taking advantage of the pokeweed berries. He was kind enough to permit me to use his shot for our enjoyment. 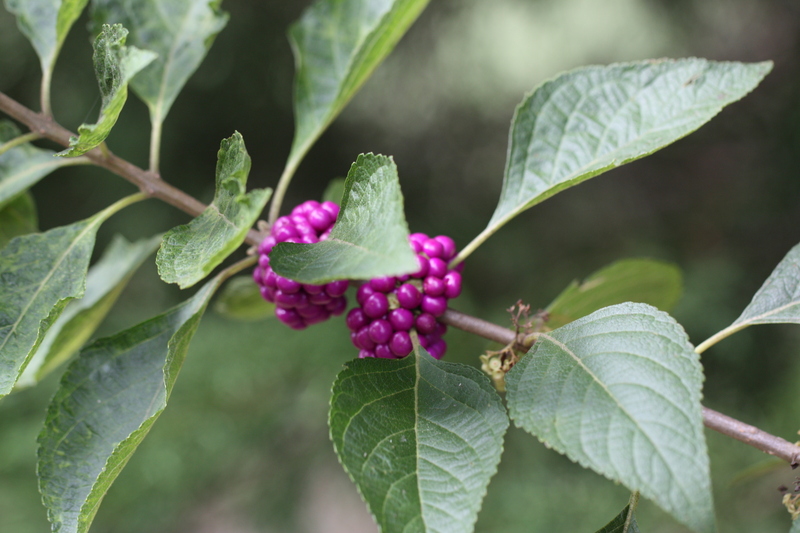 American Beautyberry; Photo by B.LaVergne, Sept 2013. A member of the Verbena family, American Beautyberry (Callicarpa americana), also called “French Mulberry” by some, is a deciduous, perennial native shrub growing up to 6 feet wide and almost as tall. One of the most eye-catching plants at this time of year, it’s the purple berries that draw people’s attention rather than the palest of pink flowers in spring & early summer. 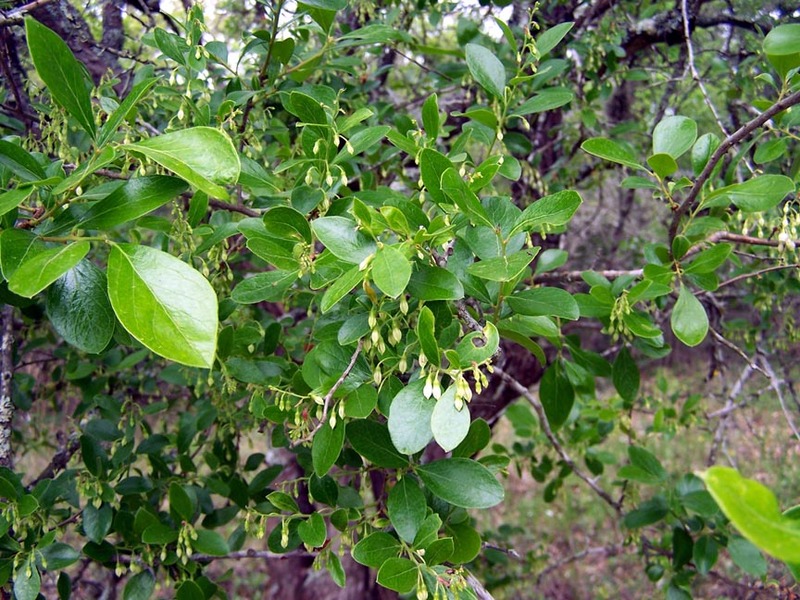 The flowers are approximately ¼ inch wide, and the berries are not much bigger than that when formed in late summer. The berries hold their bright color for many weeks, even after the leaves are gone, usually until a good frost has occurred. American Beautyberry is one of the favorite forage plants for whitetail deer in the Oak Prairie Region of Texas. 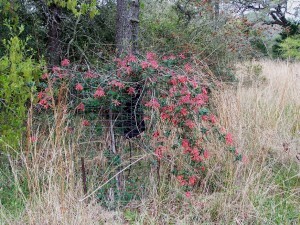 Check out the link on the ORWMA “Groups” tab above, and click on Deer, then “Links for Managing Whitetails”, click on “Favorite Forage Plants of Whitetail Deer” to learn about other favorite plants for deer in this area. While the deer enjoy the leaves, several species of birds enjoy the berries in the fall & winter, such as Bobwhite Quail, Robins and even domestic chickens. What beauty is added to our landscapes when most others have stopped blooming in late summer and fall while adding to beneficial food sources for both deer and birds! The berries on their long stems also make beautiful dried fall decorations in our homes (but please take care to keep them away from children). 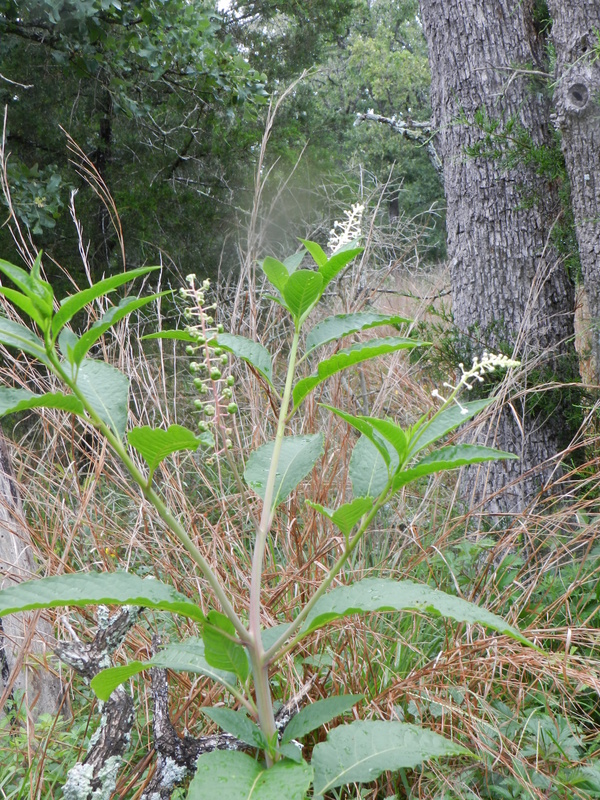 Click on the following link to find out more on this wonderful plant: http://www.wildflower.org/plants/result.php?id_plant=CAAM2. Enjoy this beautiful season! Live life outdoors! One of my absolutely favorite natives to have around. 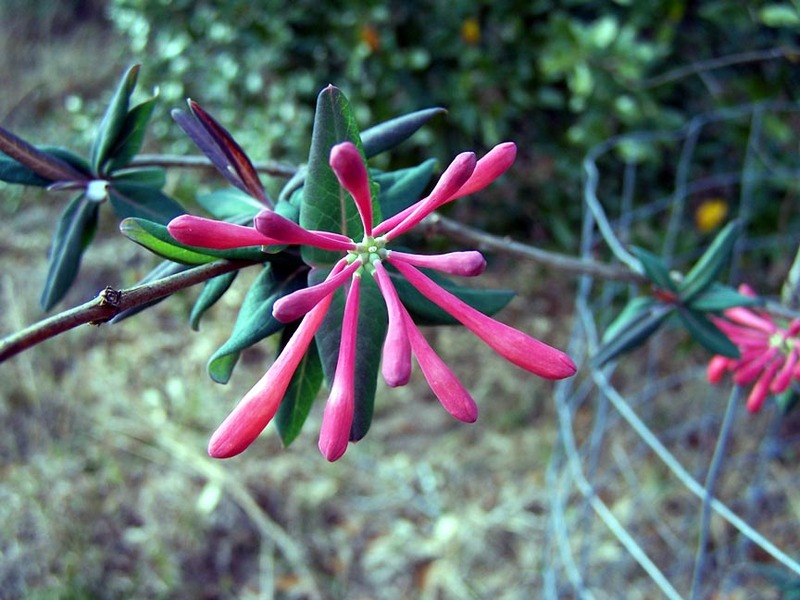 This is Coral Honeysuckle, Lonicera sempervirens , not to be confused with the white, invasive Japanese Honeysuckle, Lonicera japonica, the Coral Honeysuckle has no fragrance for humans to enjoy. But no fragrance is needed for the pollinators. It will bloom in early spring for the first migrants; then off and on until the first cold snap. While my original primary interest in the vine was attracting the hummers, I am learning the fruits, when available, will feed Goldfinch, Hermit Thrush, American Robin and Quail. When looking for this vine to plant, look for the scientific name and watch carefully for the many cultivars that can be found. Plan to provide support of some kind. You will not regret adding this to your organic garden. 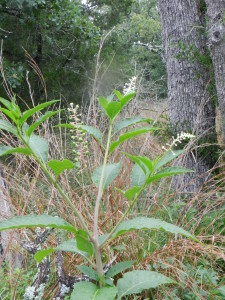 The plant quiz posted in May included the picture above of the American Pokeweed, Pokeberry Phytolacca Americana, in its late spring growth. Now this native plant should be looking more like the picture above, and may be more recognizable in the summer blooming form with small white to pink blossoms. 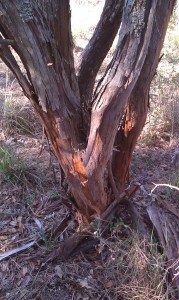 The very distinctive winter look has the black/purple berries on very red stems. This perennial can become quite large, reaching 12 feet and can be considered a weed. 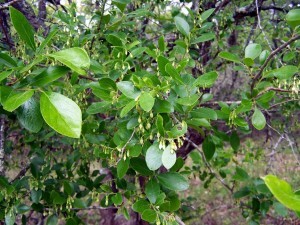 Prior to the berries forming, very young leaves can be carefully cooked and eaten, but otherwise all parts are toxic, including the rootstock. 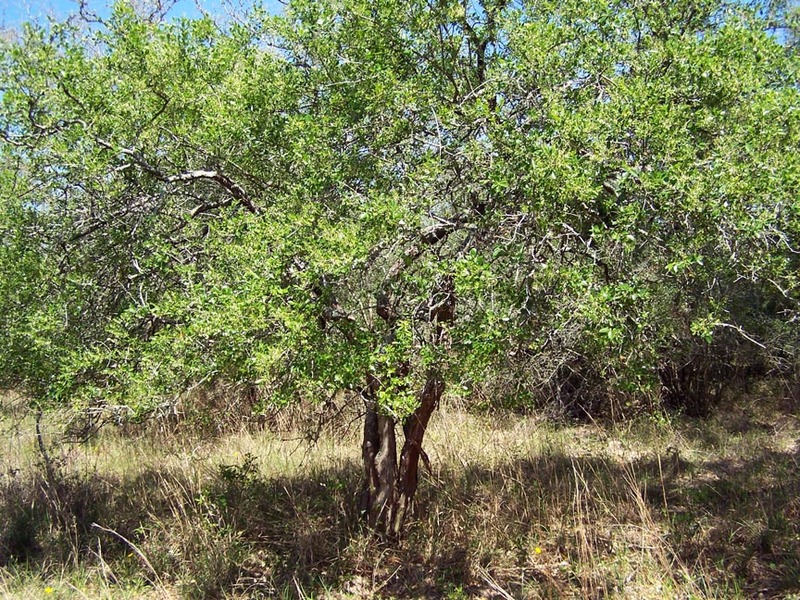 Early Native Americans had many medicinal uses. The berries will attract such birds as our Northern Cardinal, Northern Mockingbird and the Gray Catbird and Brown Thrasher. It is deer resistant. The Giant Leopard Moth, Hypercompe scribonia. will use it for a host plant. 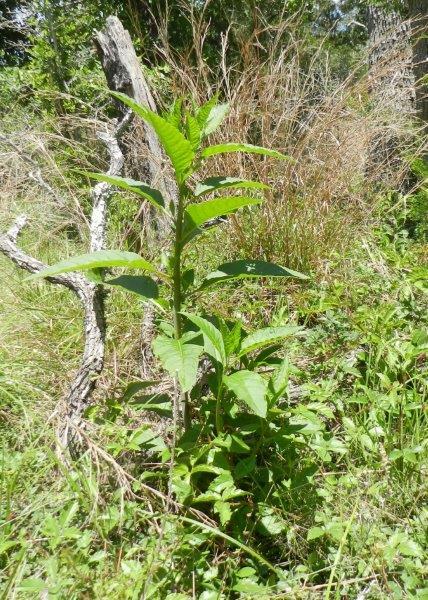 We planted this wonderful native down on our dry weather creek for bank stability. 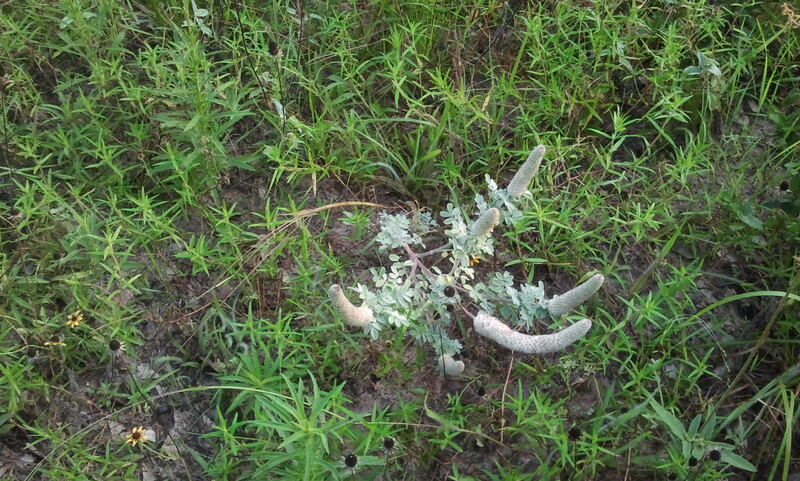 This plant likes/needs wet feet, and is perfect for the task. This is the Buttonbush Cephalanthus occidentalis. 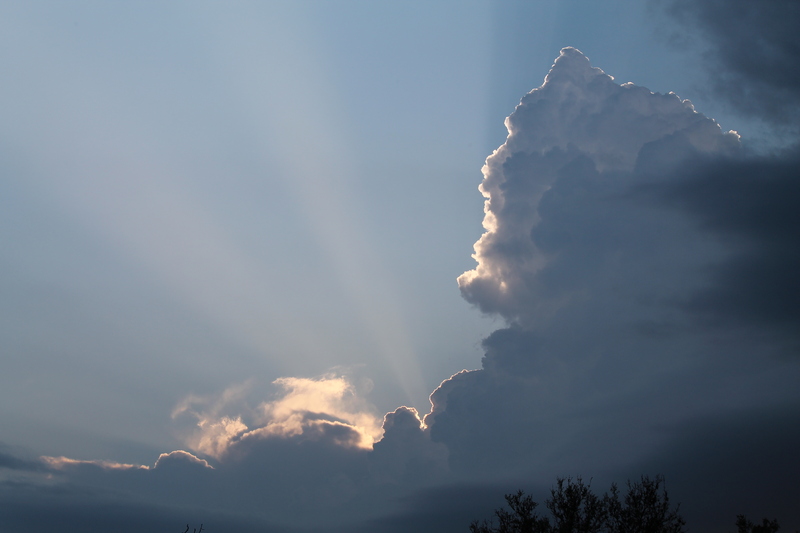 It can grow to 18′ tall and 10′ wide in full sun. The blossom looks like a button, as you can see and attracts all the pollinators; look for butterflies, bees and hummingbirds to come to it once established. It is particularly favored by our native bees. The plant is deciduous, but in my experience, some stems freeze back to the ground. 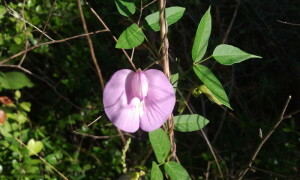 The plant recovers each year to bloom in the summer. I found that used in a pond environment, any submerged portion will provide habitat for amphibians, reptiles, ducks, and fish. 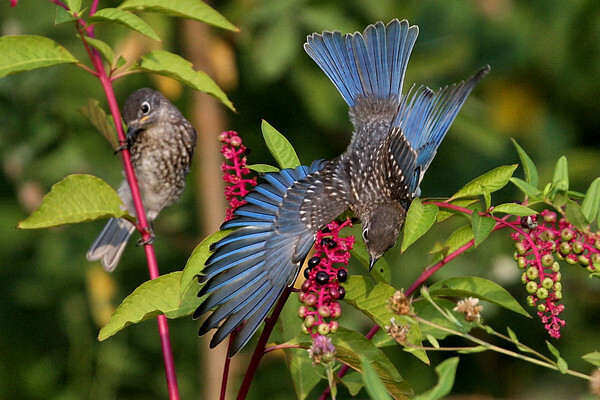 Some 25 species of birds eat the seeds. A native worth planting by our creeks and ponds. 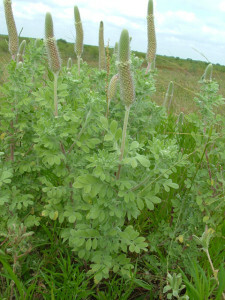 This picture shows the “button” later in the season, about to go to seed.